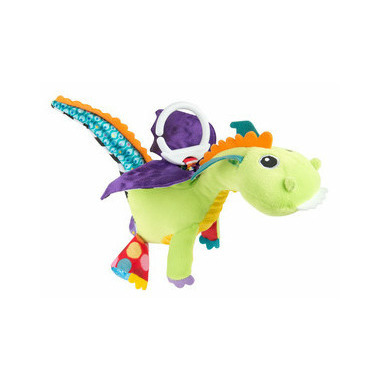 Baby will love to watch Lamaze Flip Flap Dragon flapping his wings! 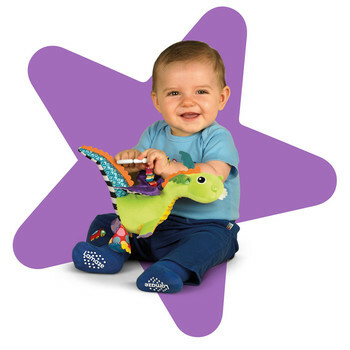 Pull the white clip to make his vibrant, satin purple wings flip and flap back and forth. Baby can also explore his crinkly feet and squeaky nose. Featuring soft fabrics in a variety of contrasting colours with six different materials your baby can explore and develop their senses. 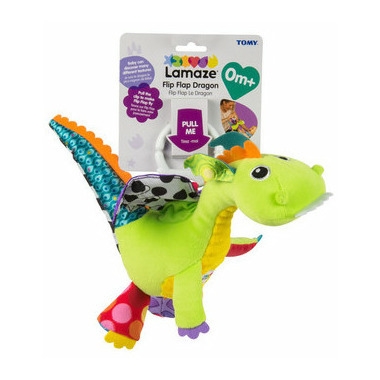 The Lamaze clip lets you hook Flip Flap to strollers, carriers and diaper bags to take him along for on-the-go fun. This is my sons favorite toy. He is 5 months old and loves to watch it flap. Itâ€™s easy for him to move around and bite the different textures.